EZ-ACCESS SUITCASE® Advantage Series Ramp is manufactured by Homecare Products to serve as a Wheelchair Ramp or a Scooter Ramp. 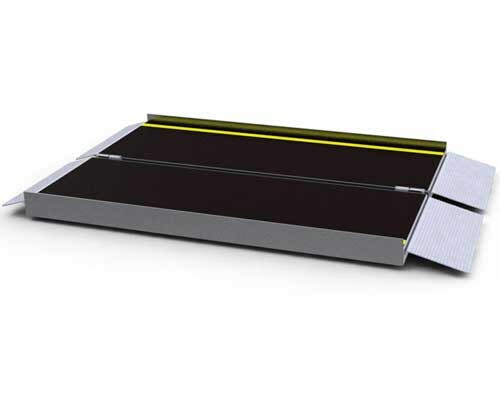 The EZ ACCESS SUITCASE Ramp has a single fold design, offering a simple and convenient solution for wheelchairs and scooters to access steps, vehicles, and raised landings with ease. This ultra-strong ramp provides the safety and strength required while remaining light and portable. This EZ ACCESS Ramp can be separated, making it even easier to use, carry, and store. By simply removing two hinge pins, the Suitcase Advantage Series ramp quickly separates into two lightweight sections, each with their own carrying handle. 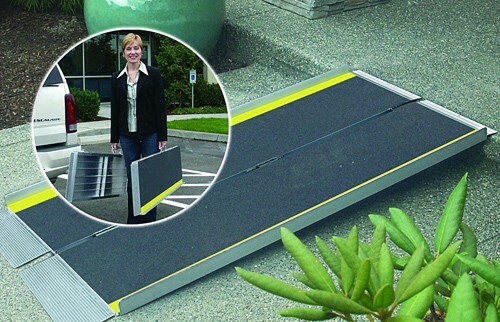 The ramp features high-quality skid-resistant tape with yellow safety strips and a self-adjusting bottom transition plate for easy conversion from ramp to ground. The suitcase ramp unfolds to a 29 wide platform. The ramp is manufactured of welded aircraft-grade aluminum and features an 800 pound weight capacity. 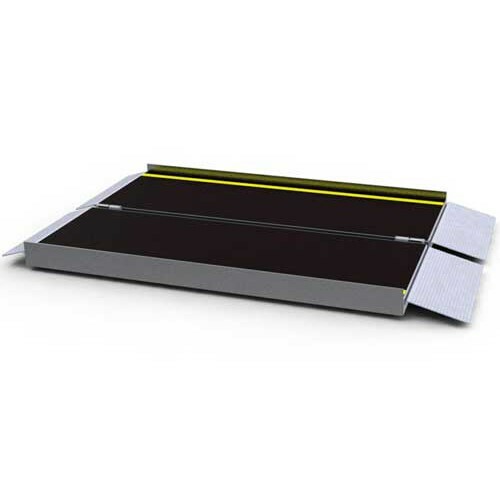 The Advantage Series Suitcase Ramp has an optional top lip extension (TLE) that increases the reach of the Homecare Products Wheelchair Ramp by extending the lip for the standard 3 inch length to 9 inches. The EZ ACCESS TLE can be added or removed as needed for the specific application. This optional add-on device eliminates the need for a large ramp inventory. The TLE option is shipped as a pack of 2. Constructed with tough heavy duty aluminum. Non-skid surface to help prevent accidents. Built-in carrying handle for ease of use. Suitable for manual wheelchairs, power wheelchairs and scooters. EZ Access Advantage Series Suitcase Ramp Warranty: Limited 5 years. * Intended for unoccupied use only. Consult your EZ ACCESS equipment owner guide for proper degree of incline. Never exceed its recommendations.